Experience American Girl® in an all-new musical, at the Majestic Theatre on April 7th at 2:00 pm! During an exciting summer away at sleepover camp, as bold tales of bravery and friendship come to life for some new friends, iconic American Girl characters lend a hand through story and song. 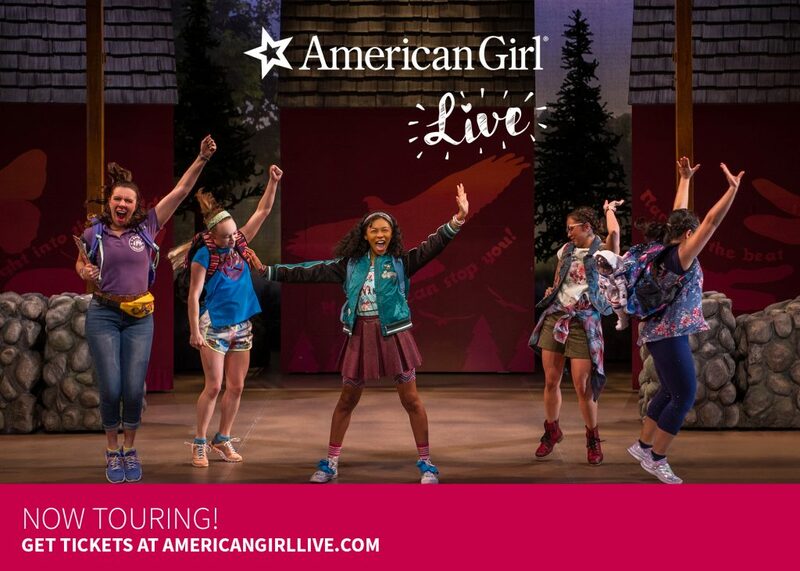 American Girl Live features favorite American Girl characters and the campers as they follow their hearts, share their dreams, and learn the power of friendship! The Contest begins at 12:01 AM Pacific Time (“PT”) on Wednesday, March 20, 2019, and ends at 11:59 PM PT on Monday, April 1, 2019 (“Entry Period”)—Any entries received after the Entry Period will not be eligible for judging.